Saving money is a lot like eating right. We all know that we should save up for emergencies, retirement, and personal goals, just like we know we should eat more vegetables and less sugar. But doing it isn’t so easy. 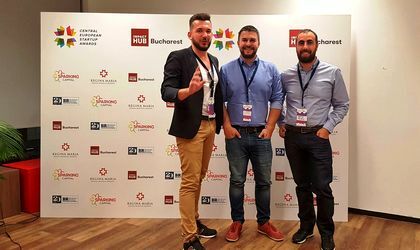 The guys from BeeZ, a start-up from Alba-Iulia, are trying to help. And the problem with eating right, as well as saving money, is temptation. It’s hard to keep from spending money when it’s sitting right there in your checking account. Something always seems to come up that you need that money for. So, before you know it, you’re broke until your next payday. 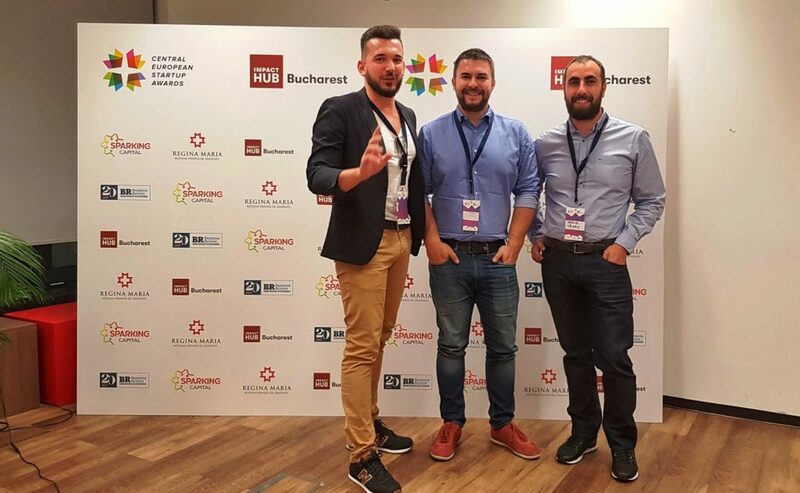 The solution offered by Lucian Cramba and Vasile Tamas, the founders of BeeZ, who invested around EUR 100,000 in the app? “Automatic savings. We let you automatically set aside part of each month’s earnings in a separate savings account, where it’s harder to reach,” said Lucian Cramba, one of the co-founders and COO of the company launched only 5 months ago, which has already reached more than 30,000 users. The BeeZ app offers incremental changes that add up to large savings over time. Plus, the apps help change your mindset about money and provide valuable ongoing lessons about fiscal wellness that can keep you out of debt and on the road to saving more money for today and tomorrow. The great advantage is the fact that working with BeeZ is effortless. Once you get the app, there’s nothing to remember and no math to do. Instead of second-guessing yourself, asking how much you can afford to set aside each month, you can sit back and let your savings take care of themselves. Cashback. BeeZ has partnerships with 455 businesses. When you make a purchase with one of these brands using your BeeZ-linked account and card, the company puts money into your account. Rounding Up. BeeZ can be linked to your credit card or debit card. When you make a purchase, the app rounds up the total and puts the change into your BeeZ account. One-Time and Recurring deposits. You can transfer extra money into your BeeZ account anytime you like. You can also transfer fixed sums to your BeeZ account on a daily, weekly, or monthly basis. Referrals. Finally, you can earn money by referring your friends to BeeZ. Whenever a friend signs up using a special investment code sent by you, a bonus gets paid into your account. The application has 4 founders and the whole team adds up to 11 people now (the team is a mix of experts in programming and marketing). The company’s shareholders, together with Lucian Cramba and Vasile Tamas, are Laurentiu Voica and Kirschner Karles. ”We have a great deal of experience in the life of entrepreneurs, and Vasile and I have been entrepreneurs since we were 18 years old. Our expertise is in the area of ​​marketing, business development and advertising. The first lines of our application code were written at the beginning of the year, and at the end of May we had a product ready to be released. Since then we have reached over 30,000 users, who have already saved EUR 15,000. With our app we have recorded sales of over EUR 1 million so far. 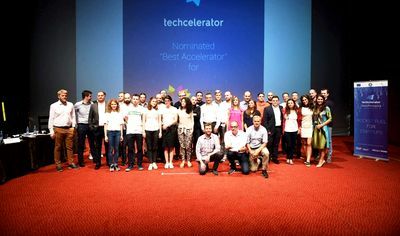 The next step in our application development begins with the conclusion of the current funding round we are working on, we want to enter at least three new markets in Europe as soon as possible,” Lucian Cramba explains. The markets BeeZ is testing now are UK, Germany and Poland in Europe and, obviously, the US. “We have a series of meetings with CitiBank. We want to enter the US market and integrate the micro-investment part into the application, and they are a great actor in this industry that could help us and provide some leverage to reach the customers there who have financial concerns of this kind,” Cramba says. They also want to have discussions with the regulatory bodies in Romania so that the next option introduced in the application will give users an interest for the saved money. Whether it will be a peer-to-peer lending tool or a product offered in partnership with a local bank, BeeZ representatives see this move as vital for developing financial education among users. The app is active on Android and iOS and it is an automatic savings account, which allows you to start saving money without thinking about it by automatically setting aside a percentage of every expense, enable rounding-up on your purchases and have the difference transferred to your savings.